I just got back from a whirl wind 24 hours! My heart is so full of joy and exhaustion, but ultimately I am so happy and so blessed to have such awesome supportive family, friends and fellow foodies and readers. Now let me just tell you how these last 24 hours went. Actually, let’s rewind a bit further. Last week I had my 1st ever TV appearance! 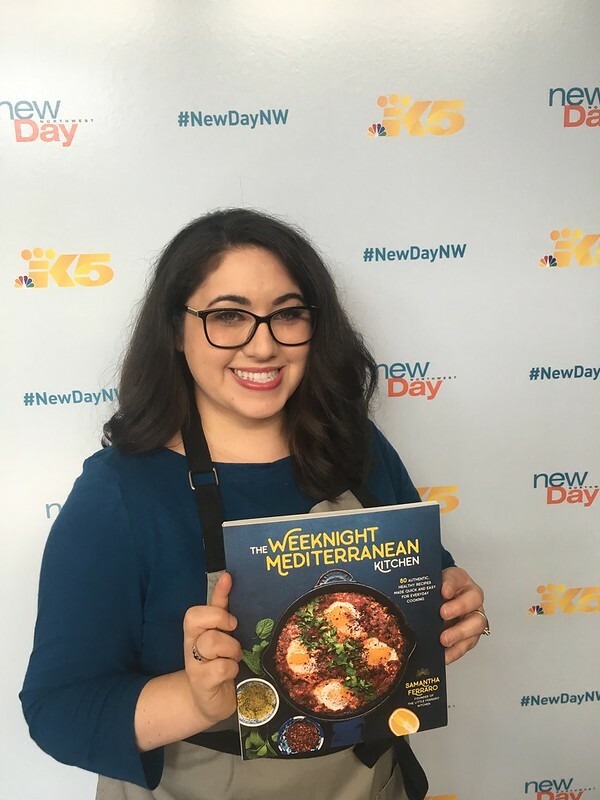 It was for King 5 in Seattle on their morning show New Day Northwest . It has been a dream and professional goal of mine to be on TV. I am one of those people that really enjoys talking to people and once I’m on the spot, I honestly think I do pretty well. However, put me in front of 1 person in a closed room (think interview of sorts) and I freeze up! Anyone else like that? Here is the video clip of my 1st segment! We demo’d Za’atar Chicken Skewers (pg. 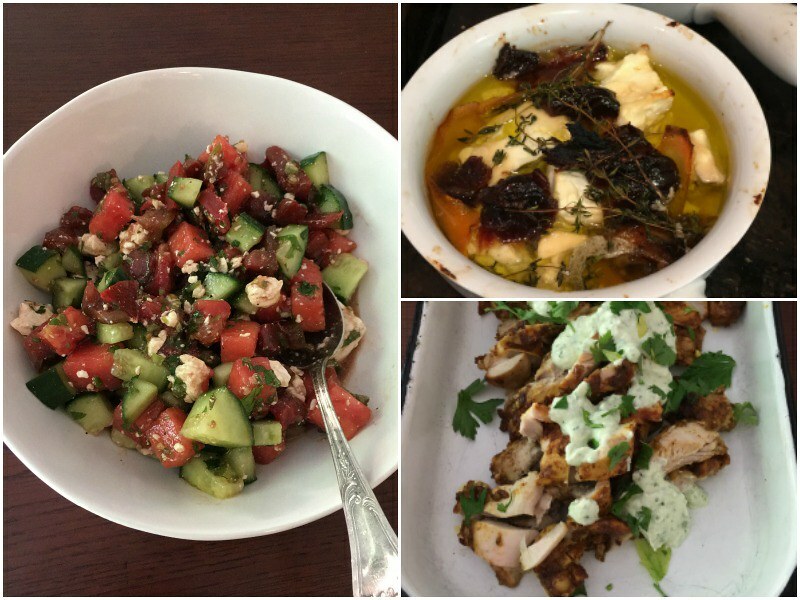 65) from The Weeknight Mediterranean Kitchen and my Fennel Fattoush Salad (pg. 86). I also made the Tahini Date Balls and Heirloom Tomato Bruschetta with Labneh for the set! 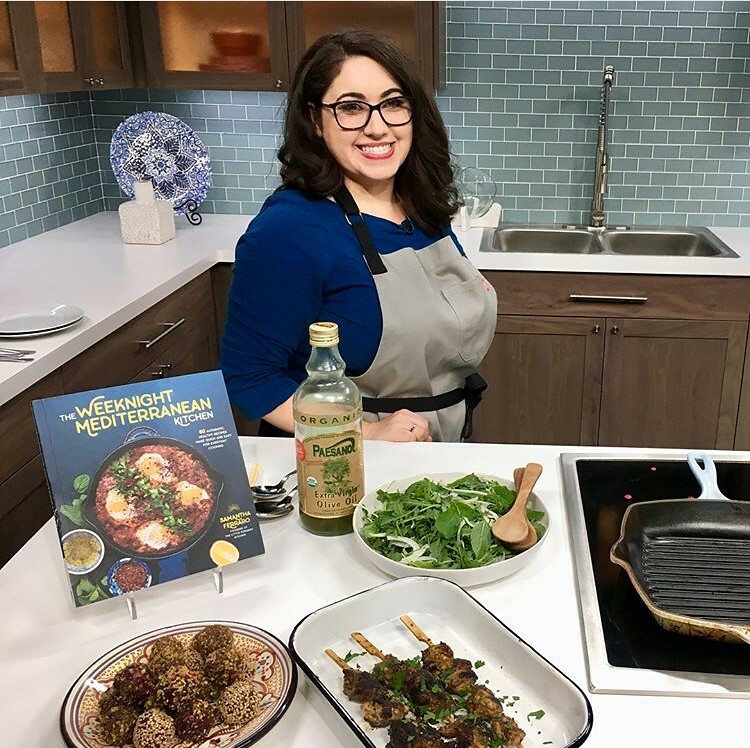 The next event was a really fun cooking live on Facebook. 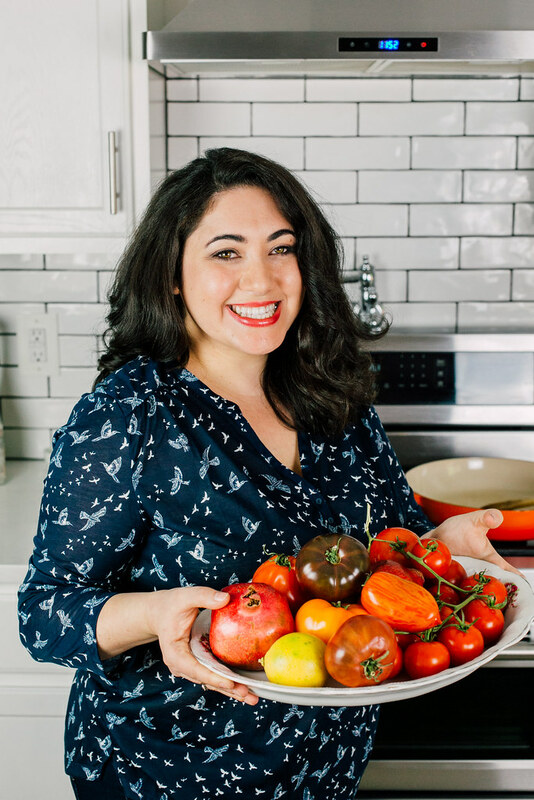 Jenni Field is a very well respected food blogger over at Pastry Chef Online and she also hosts the popular group Cook the Book, where she invites book authors to cook several dishes live! That was so much fun and in just about 1 hour, we made 4 recipes from the book. Now if that’s not weeknight cooking, I don’t know what is. You can watch the replay on Facebook here and you can join Cook the Book group on Facebook to watch future events. If you make any of the recipes, you’ll be entered for cook book giveaways too. Super fun! 24 Hour Book Tour Starts Now! Now that those 2 fun events were behind us, it was time to get prepped for the 24 hour craziness. 3 cities, in total opposite directions of each other, because why would I make this easy? My bestie came down from Portland for all the events and we jumped right in cooking and prepping some noshes from the book. The first stop was right here in Bellingham, WA. 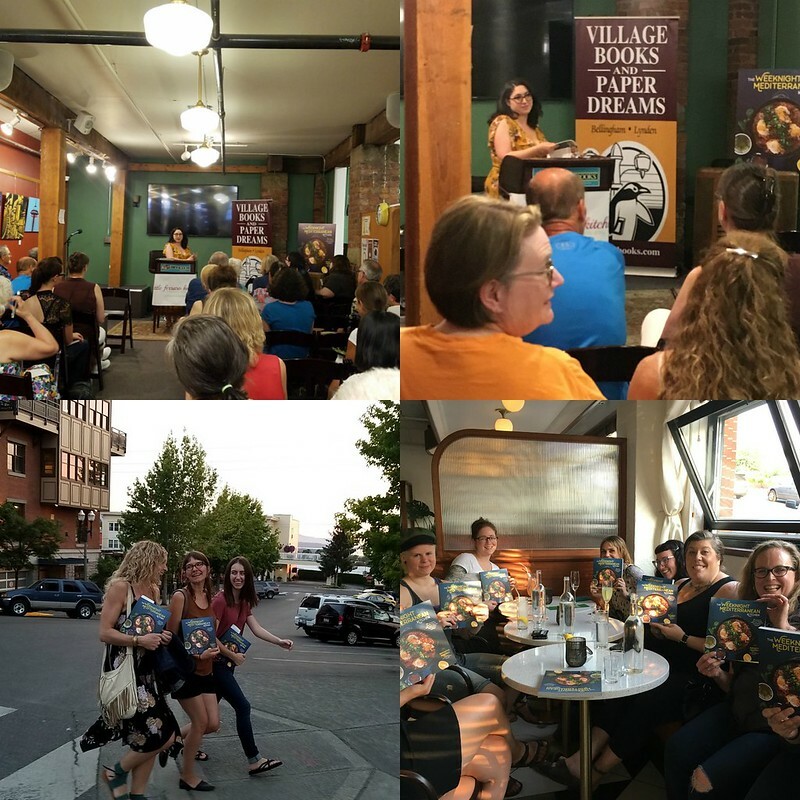 I had my author talk and book signing at the adorable Village Books, and let me tell you..Bellingham came and represented! I saw so many familiar faces and some new faces, it was so wonderful! Thank you all for coming, what a fun night! 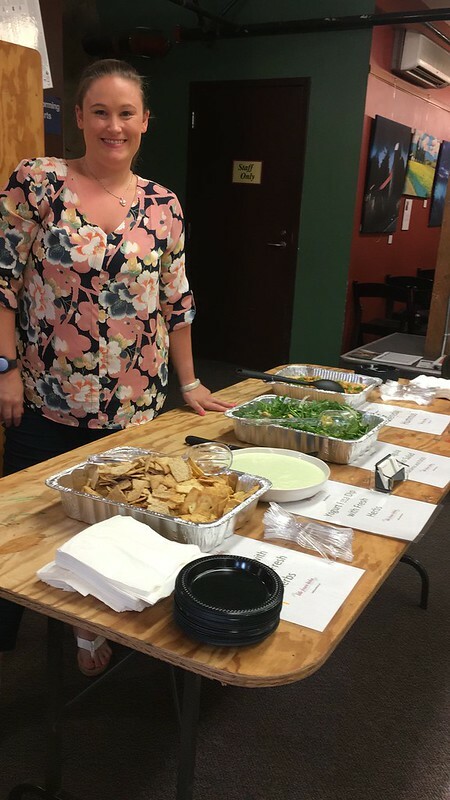 Fellow boss ladies of Bellingham supporting other women is pretty awesome. Fringe Boutique (thank you for the adorable outfits I wore for my book tour!) And Gathered Confections , Caylie Mash Photography and Kelsey Michelle Photography representing along with so many of my lovely ladies! As soon as the author talk was done, my bestie, Joe and I had to jump in the car and drive 4 hours down to Portland. We didn’t get into Oregon until 1:30am and could barely keep our eyes open. We had just enough time to crash for 4 hours before waking up bright and early at 6am for the next event at KATU 2 in Portland. Not too shabby for getting maybe 4 hours of sleep, huh? 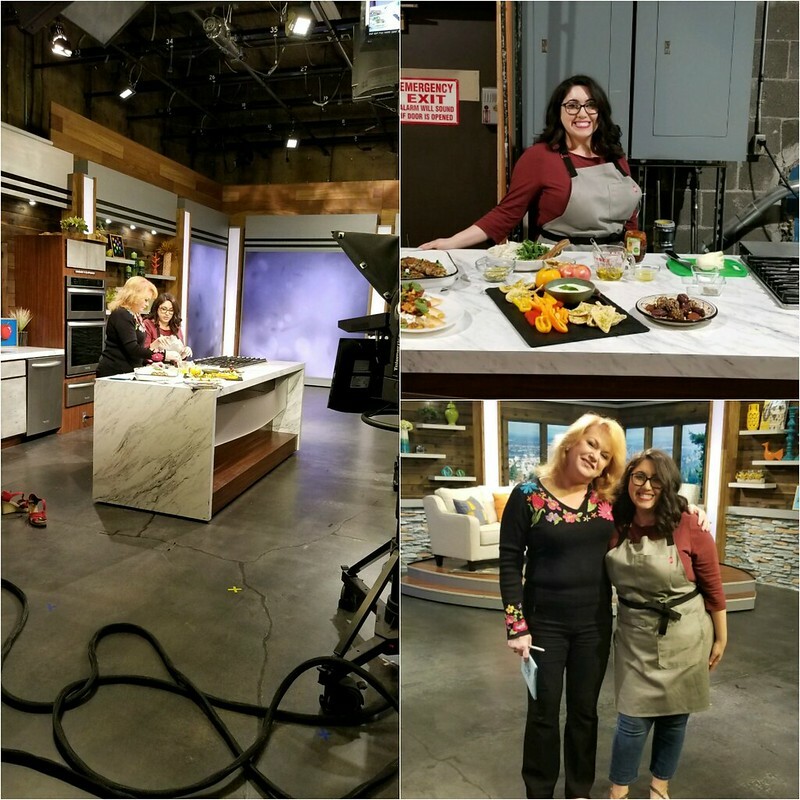 This was such a fun event and you can watch the replay and grab the recipes I demo’d over on KATU right here. The sets for these segments looked very similar. They had a kitchen looking backdrop and both times would wheel in the counter and cooking “set”. Off to the corner was a living room situation where the host could do sit down interviews and promos. The cameras were situated in the middle of the room and honestly, being in front of several cameras was relatively relaxing and calm. Everyone was so welcoming on the set and it felt like we were all just hanging out and talking about food. So much fun! 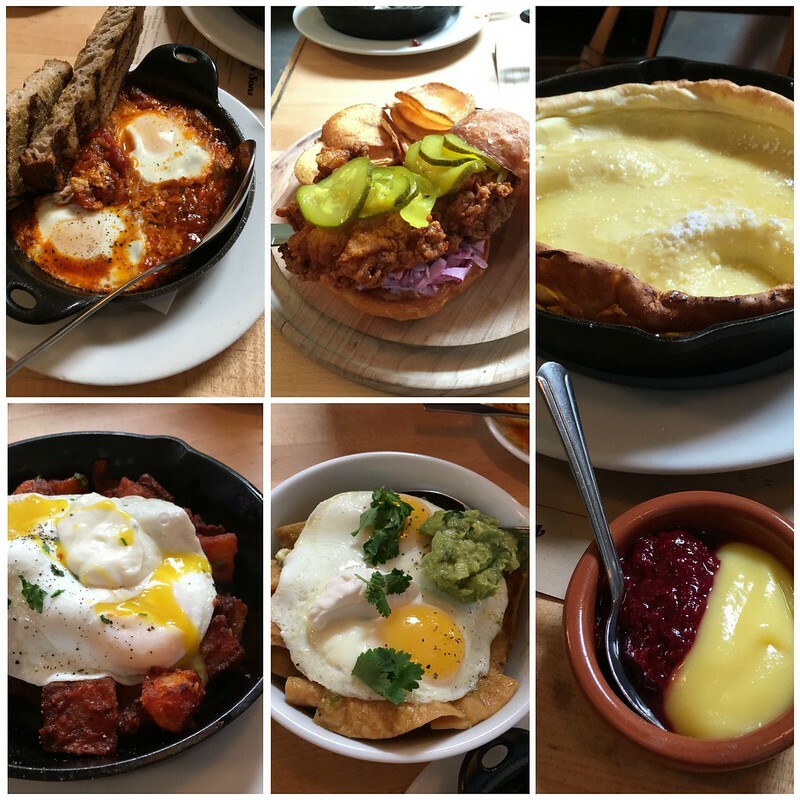 Where to eat when you only have 3 hours in Portland? We had just enough time to hit up our favorite brunch spot in Portland, Tasy n Sons. Insanely delicious, and trust me, you want to go there..I’ll just let the photos speak for themselves. After brunch, we managed to squeeze in a quick power nap before heading back to Seattle for the nights event. 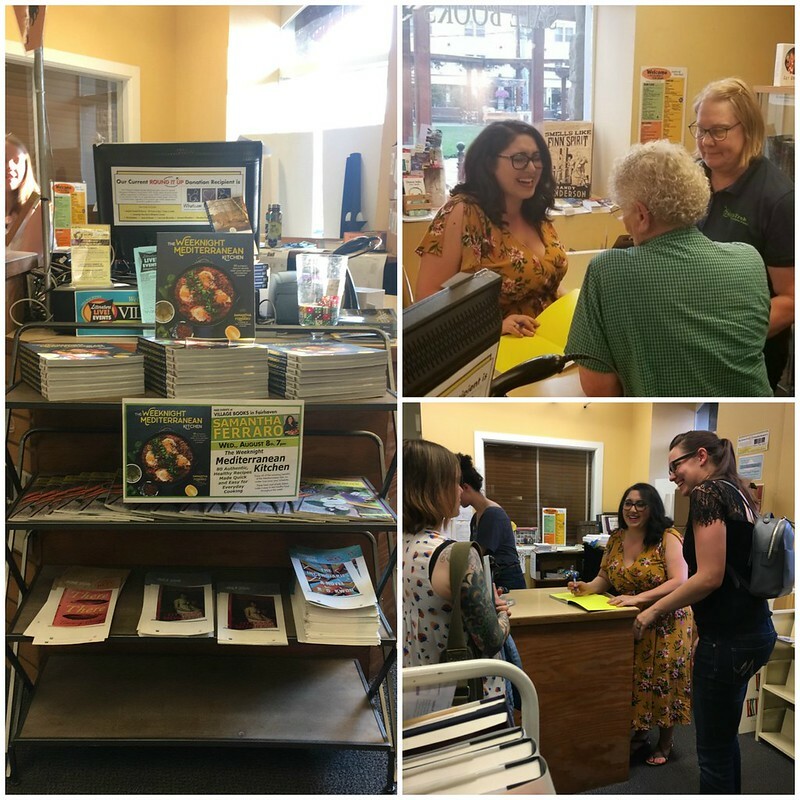 What normally would be a 3 hour drive turned into a much longer 4 1/2 hour drive and I just barely made it to my final author talk at Book Larder in Seattle. It has been a long time dream to do a demo and talk at Book Larder. If you are ever in Seattle, please stop by there. 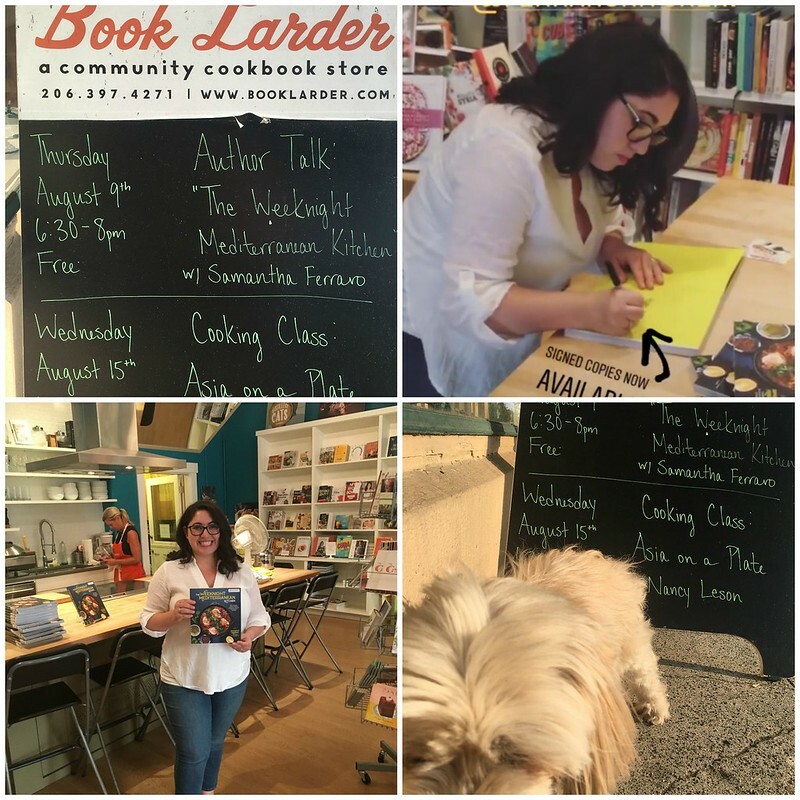 Book Larder is a community bookstore with all cook books! A food lovers dream! The class was wonderful and engaging, people asked questions, I stumbled using their mandolin..it was great! And that’s a wrap! We headed home right after the last event and was so happy to sleep in our own bed, check on the garden and just chill. But what a crazy fun experience. I coudln’t be happier! So what’s next on the agenda? Sleep. Getting back in the kitchen and cooking other recipes that are not in the book to spark my creativity again. Thanks for joining me on this adventure! I can’t wait to see what you make from the book and if you do, please let me know!